Cheese orders ship for delivery Tuesday through Friday only. Orders placed after 3pm CT will be processed the next shipping day. Please note: depending on your location and the time of year, we may have to ship via Next Day Air. We will contact you if this is the case. The 70/30 blend of cow and goat milk creates a unique flavor profile. The wheels smell of cellar and vegetal notes, while the dense, fudgy paste suggests rich butter, citrus, grass, and earth. Wonderfully complex, Cave Aged Chandoka is ever-changing throughout its life cycle. Made in the style of brighter New Zealand-style Cheddars at LaClare Farms, just north of Milwaukee, Chandoka is cheddared, formed, and pressed before being sent immediately to Standard Market outside Chicago for aging. Upon arrival at Standard Market’s Cheese Cave, the Chandoka wheels are larded and bound in cloth. Aged a minimum of six months, Cave Aged Chandoka continues to develop amazing complexity well into its second year. Standard Market first began working with Katie (Hedrich) Fuhrmann, LaClare’s head cheesemaker, early on in the development of the Standard Market affinage (cheese aging) program. Several wheels of LaClare’s award-winning goat milk Evalon were aged at Standard Market for 12 months on top of the usual six months of aging at LaClare. 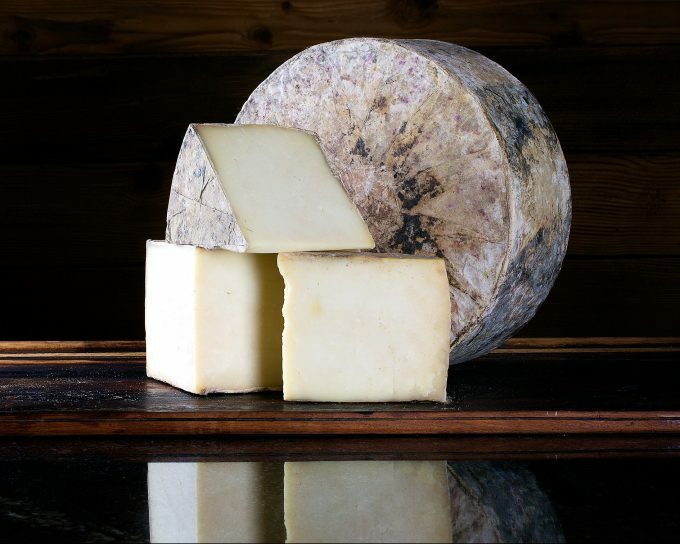 After tasting the success of Cave Aged Evalon, Fuhrmann approached the cheese team at Standard Market about helping LaClare develop an aged version of the mixed cow-and-goat milk block cheddar, Chandoka, clothbound in the English tradition. This is the transcendent result: Standard Market Cave Aged Chandoka by LaClare Farms—winner of first place in its category and second place Best of Show at the prestigious American Cheese Society Judging & Competition in 2015.